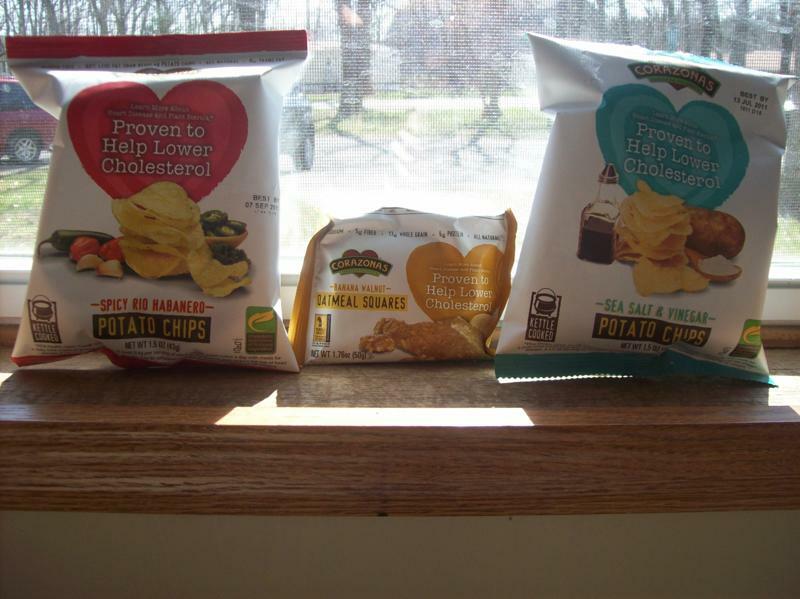 Corazonas is a company that makes snacks that are proven to lower cholesterol. They contain plant sterols which help to not absorb cholesterol and help to lower your LDL (the bad cholesterol) by 5-14%. Bet you never thought that chips could do that! I was sent some salt and vinegar chips, spicy rio habanero chips, and some banana walnut oatmeal squares. All of these products are delicious but I have to say that my favorite is definitely the salt and vinegar chips. They taste exactly like french fries with vinegar on them. I love anything sour so these are great. The chips have 200 calories for a 1.5 ounce serving (larger than a normal serving). They also contain 3 grams of protein, 3 grams of fiber, and some vitamin C and iron. They also contain much less fat than typical potato chips. I am amazed how healthy that these are considering that they taste so good. I would definitely recommend these. I am a new follower via GFC and Facebook. I found you through Follow Me, Chickadee! I hope you can stop by and check out my new blog and follow back.